Dr. Ed Hood had a $2.8 Million Dollar practice and thought he was doing pretty good. He had added 2 associates to his practice and his practice was growing. It was at this point that he knew he needed help. He didn’t know how to logistically arrange things and how his practice should operate at this level. This was all knew to him. 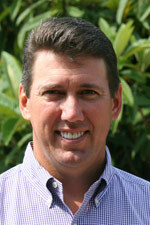 He had met Wendy Briggs in 2007 when she trained his hygienists and he reached out to her and Dr. John Meis. He started the Blue Diamond Coaching Program in 2014 and saw an immediate 30% bump in hygiene production (remember, Wendy had already trained his staff a few years earlier). The goal when Dr. Hood started was to figure out logistically his office could see 10 new patients in a day? How do you distribute things amongst the new doctors? How do you have a new patient column? These were all the logistical things that you don’t learn in dental school and he wasn’t finding anyone out there teaching it. By coming to The Team Training Institute, Dr. Hood felt that was starting to understand what a good practice was. That at $2.8 million he had a good practice, but that it could be even better. There were things he could ‘tweak’ and it was then that he started to see the real potential! With a practice at that level, the numbers that most consultants or practice management companies suggest just don’t work when you attempt to apply them to a practice like Dr. Hood’s. He was never going to get his overhead to 60% and he felt bad about it… until Dr. Meis bridged the gap between the things that he understood and had heard and how real practices were practicing. Dr. Hood thought that at 55 that he would be looking to slow down, but instead he is looking at ramping things up. He has brought on his son and another associate doctor and is excited to see what a new year brings for the practice.